It is true that people take out life insurance with different ideas in mind. What everyone is agreed upon though is that they want simple, smart life insurance. Which is affordable and which can give them peace of mind. So think about FNB simpler smarter life insurance. There are so many expenses to fret about in life, and when you die, you’re doing your family a huge injustice by leaving lots of debt behind for them to tackle. A good life insurance policy can be invaluable because it can be used to pay off a lot of debt. Once you have it you can rest assured your death isn’t going to cause problems for those left behind. A life insurance policy offers benefits which are quite different to when you leave property behind. The reason for this is that when you leave the property, it is subject to the likes of inheritance tax for instance while life insurance is tax-free. They offer comprehensive cover up to R10 million, but with this cover, you can also add in other benefits such as Disability- and Critical Illness Cover. They offer an Immediate Cash Benefit. This means that within 24 hours of the insured person dying, an amount will be paid out and this is to ensure the family can take care of all those unforeseen expenses. However, the beneficiary will have to be 18 years or older for this to happen as well as be in possession of an FNB banking account. If you are diagnosed with a terminal illness by a certified medical practitioner. And have less than 12 months to live, a Terminal Illness Benefit will pay out 100% of the sum insured. Regular insurance between R200 000 – R10 million. It is divided into 2 categories. Life Simplified pays out up to R1 million and Life Customized which covers more than R1 million. Critical illness cover is anything between R200 000 and R5 million, providing you with the finances when you’re diagnosed with any terminal illness or dread diseases such as cancer, heart attacks and Alzheimer’s. Disability cover is also divided into 2 categories – Comprehensive Disability and Activities of Daily Life. If you are permanently disabled, the comprehensive cover will pay out. Nobody knows what life can dish up in the next moments, the next week or month. Caught off-guard without life insurance can spell disaster for your dependents. There is no need to wait for tomorrow to buy life insurance from FNB. Customers can buy cover within a few minutes on the FNB website. 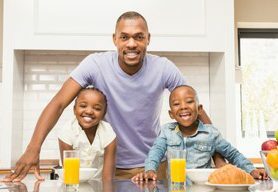 FNB simpler smarter life insurance recognises that life insurance isn’t a one size fits all product and that life insurance can be personalised as you want it. You can opt to choose just life cover or you can choose other products. Such as disability or critical illness insurance. Request life cover quotes from FNB because they offer the most simplified and easy to understand life insurance products. And you can save further by bundling certain products to get a plan that suits your loved ones perfectly. Complete and submit the form on this page by clicking on the “Get Quote” button to get a Life Insurance quote.